Made with a 50/50 blend of Colorado wine grapes and apples. 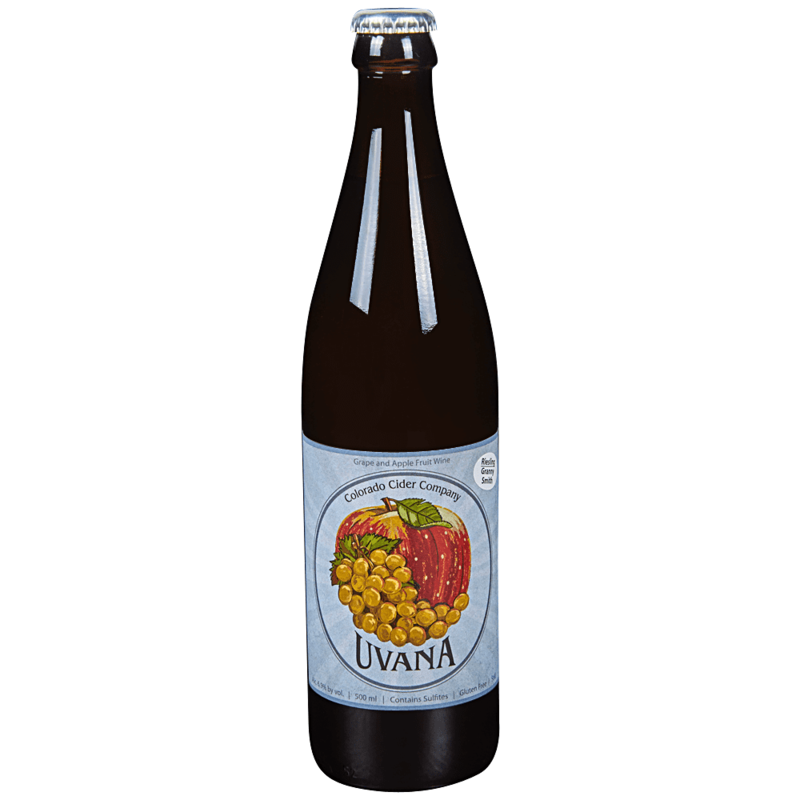 In Spanish Uva = grape, Manzana = apple, we combined them for UVANA. Delicate fruit flavors, a snappy middle and a dry finish with very few bubbles. Colorado Cider Company was founded in 2011 to produce fresh hard cider for the discerning Colorado drinker. With a well-developed craft beer market and an educated populace, Hard Cider has been a missing choice in the cacophony of craft drinks in local pubs and liquor stores. We set out to remedy that.